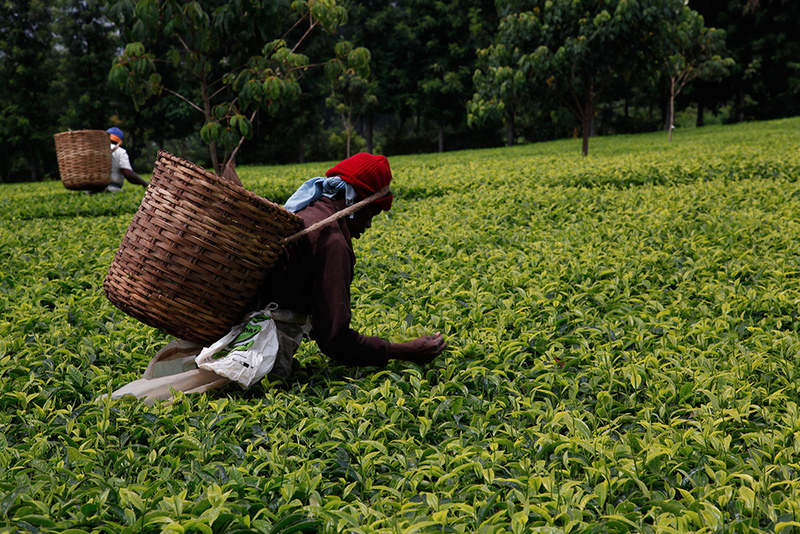 As soon as the tea leaves are picked, they must be taken to the factory as quickly as possible. The piles of leaves must not be allowed to ferment. Accidental fermentation is known to affect the quality of the tea. Here, in Kenya, they use very large baskets that are well ventilated so that the plucked leaves have room to breathe. This is a stunning photograph.